The culinary industry brings in almost $4.5 billion to Hawaii’s economy each year. The industry is growing, with almost 6,500 more jobs expected by 2026. Hiring managers and restaurant owners want to hire the very best associates and often look for those with degrees or certifications. Hawaii has several culinary schools that can help students earn those credentials and secure positions in some of the finest restaurants in the state. 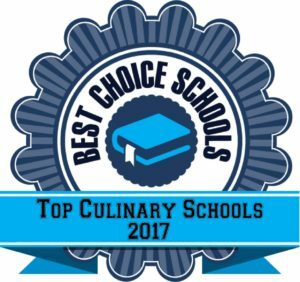 We created a list of the top 5 culinary schools in Hawaii. Schools were included in our list who offer professional development opportunities, a hands on learning environment, a positive reputation in the field based on our research, and a diverse curriculum. Several schools in our list are also accredited by the American Culinary Federation, an indicator of high educational standards. Hawaii Community College offers an exciting accredited culinary program featuring coursework covering cold food pantry, short order cookery, menu merchandising, and culinary nutrition. This top culinary program has been around for about 50 years and has over 100 students enrolled. Programs are available at the certificate level as well as at the associate degree level. Students have the opportunity each year to submit their best culinary work in the Hilo Classic culinary competition. Students can work together in teams or submit individual work for the competition. Students are awarded medals or a certificate of completion. Students also create an appetizer buffet for guests to graze on while they look over the impressive student work. This experience is something the students look forward to all year. Kaua’i Community College features culinary programs in a career ladder format. Students can start of with the Certificate of Competence, and then move on to complete their Certificate of Achievement or AAS degree. Kaua’i Community College culinary programs are accredited by the American Culinary Federation. Instruction takes place in a hands-on kitchen laboratory environment where students learn from experienced faculty in a state-of-the-art setting. During the program, students learn communication skills necessary to be productive team members and are taught how to be professionals in the field. A practicum is required as part of the AAS degree program. At Leeward Community College, culinary students experience instruction in European and Asian cooking techniques as well as traditional local flavors. This top culinary school features a $6 million culinary facility with state-of-the-art equipment and a fine dining restaurant. The student operated restaurant, The Pearl, gives students the opportunity to apply their skills and techniques in a work setting. The associate degree program can be completed in just two years and features a paid externship opportunity. The Certificate of Achievement program is a 30 credit hour program and prepares students for an entry level position in a commercial kitchen. Certificate of Competence programs are shorter programs (often taking only a semester) and feature hands-on courses to give students basic skills needed to get into the culinary workforce. The University of Hawaii-Maui College is a top culinary school offering associate degree programs in the culinary arts that have received exemplary status by the American Culinary Federation. Students also have the opportunity to earn a Certificate of Competence in Culinary Arts or as a Pastry Cook, as well as a Certificate of Achievement in Culinary Arts. Certificate programs feature coursework that is area specific and can be completed in about six months of study. Associate degree programs are four semesters and include an externship opportunity. Students learn the ins and outs of the industry including catering, event planning, food trucks, and farm-to-table principles. Graduates have gone on to work in five star restaurants as well as own their own culinary businesses. Kapiolani Community College features several different degree and certificate programs to meet the needs of culinary arts professionals at all different levels. Associate Degree programs can be completed in about two years and are designed to be either a terminal degree for those heading to the workforce, or a stepping stone degree for those moving to a four-year institution. Coursework covers areas such as menu merchandising, sanitation, Asian and Pacific cuisine, dining room service, and Continental cuisine. Certificate programs can be completed in less time with students taking only industry specific coursework. Culinary students have the opportunity to work in a variety of on campus, student run dining establishments including Ka’lkena Laua’e and 220 Grille. Kapiolani Community College also features a student run catering service through the culinary program.